Hello all my lovely TWPeeps! I know it’s been a while since you last heard from me and for that I sincerely apologize. But I come bearing super awesome news, The Maladroit is now published as an Ebook. Huzzah! After months of agonizing and perhaps maladroitly fumbling around, the day is finally here. 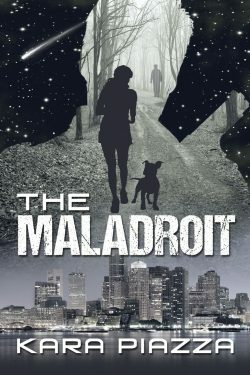 You can now own your very own E-copy of The Maladroit. Many of you have followed The Maladroit along her journey. Some of you have even been here since the beginning where you watched the story unfold week by week, chapter by chapter. If that’s you, you won’t want to miss the Ebook version because there were some changes (and much polishing) that went on to produce this final copy. I hope you’ll all rush right “out” to Amazon and pick up a copy. And if you like it I hope you’ll leave a review. 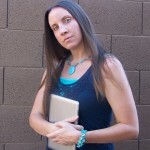 Authors live and die by reviews so I would greatly appreciate it if you took a little time to do that for me! This book really is dedicated to you, my fantastic TWPeeps! It was written just for you and wouldn’t have come this far without your love and support. I hope you’ll continue to love it as much as you have so far. If you would like the paperback version, no worries, that will be out soon. I’m just waiting for my proof copy to give it one last look over and then it will be published for your consumption as well. It’s a light, fast-paced read that will have you cheering for the somewhat clumsy protagonist until the very end. Here is a direct link if you’d like to pick up a copy. Thanks for stopping by. I’ll try to be more active with my posts. And also The Writing Piazza will be undergoing some changes here soon that I’m really excited about. We will be adding more resources for authors. We want to make it more of a community like setting so keep coming back so you can check it out! Awesome! I have been waiting for this publication and can’t wait to give it a read. Congrats on the accomplishment! Thanks Dorene! I’m so excited that it’s finally here!